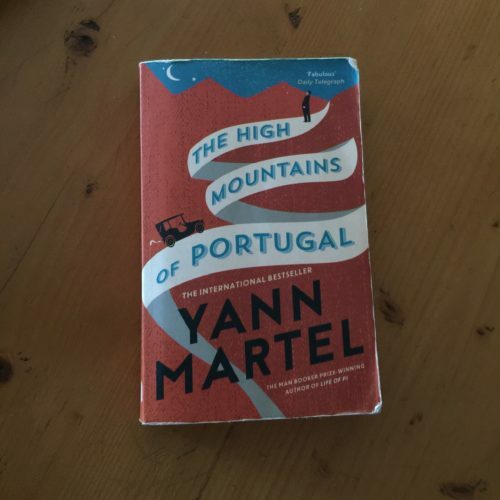 “The High Mountains of Portugal” by Yann Martel: An international bestseller telling stories of journeying, of loss and of faith, in a moving, profound and magical way in typical Martel style. A man thrown backwards by heartbreak goes in search of an artefact that could unsettle history. A woman carries her husband to a doctor in a suitcase. A Canadian senator begins a new life, in a new country, in the company of a chimp called Odo. 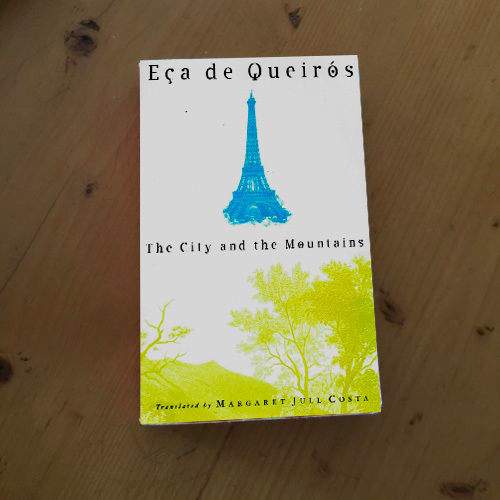 “The City and the Mountains” by Eça de Queiroz: Published after Eça de Queiroz’s death, (A Cidade e as Serras) is a very funny novel where satire is turned on the emptiness of city life and of modernity itself, whilst the bucolic second half bubbles with joie-de-vivre. Eça de Queiróz is considered a great 19th-century Portuguese novelist if not the greatest. His works have been translated into many languages and whilst his real interest laid in literature, he also wrote short stories – ironic, fantastic, macabre and often gratuitously shocking. He became committed to social reform and closely associated with a group of rebellious Portuguese intellectuals denouncing contemporary Portuguese literature as unoriginal and hypocritical. He also served as Portuguese consul, first in Havana and then in England—in Newcastle upon Tyne (1874–79) and in Bristol (1879–88). During this time he wrote the novels for which he is best remembered, attempting to bring about social reform in Portugal through literature by exposing what he held to be the evils and the absurdities of the traditional conservative social order. Other translated books by Eça de Queiroz to consider are his first novel “The Sin of Padre Amaro” (O Crime do Padre Amaro), which describes the destructive effects of celibacy on a priest of weak character and the dangers of fanaticism in a provincial Portuguese town. His next novel Cousin Bazilio (O Primo Bazilio) was a biting satire on the romantic ideal of passion and its tragic consequences. Whilst generally considered Eça de Queiróz’s masterpiece, The Maias (Os Maias) portrays the upper-middle-class and aristocratic Portuguese society within a theme of degeneration of a traditional family. “Pereira Maintains” by Antonio Tabucchi: The plot is set in Portugal in the sweltering summer of 1938, during Salazar’s dictatorship and follows Dr Pereira, an overweight newspaper editor for a second-rate newspaper in pre-war Lisbon. His closest confidante is a photograph of his late wife and he wants nothing to do with European politics. But Dr Pereira’s world is turned upside down when he meets Monteiro Rossi a leftist youth, causing him to struggle with his conscience and the restrictions of the fascist regime of Antonio Salazar. 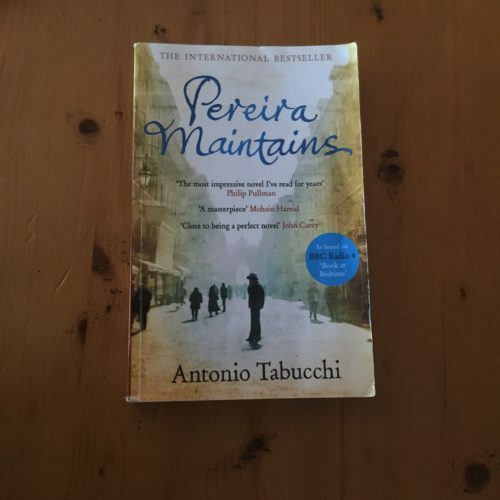 As well as a riveting political allegory, Tabucchi’s novel explores the sadness of widowhood. 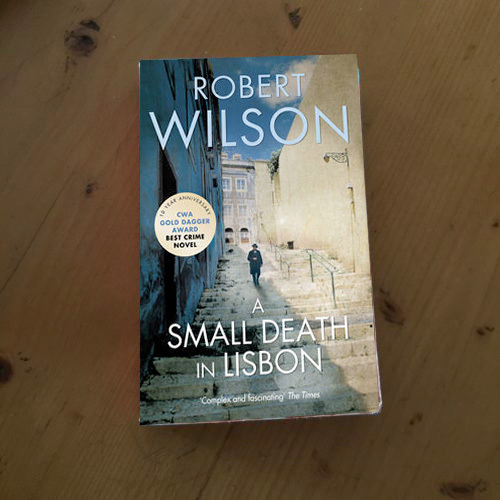 “A small death in Lisbon” by Robert Wilson: The narrative of this book switches back and forth between 1941 and 1999. World War II Portugal is neutral where business is concerned and large amounts of wolfram (used in the manufacture of tanks and aeroplanes) are being sold to Britain. In 1941 Germany, an industrialist is approached by the SS high command in a none-too-friendly manner and is “persuaded” to go to Lisbon and oversee the smuggling of the same precious metal to the German war machine. Cut to 1999 Lisbon, where the daughter of a prominent lawyer has been found dead on a beach. A liberal police inspector, who is a widower with a daughter of his own, must sift through the life of the girl and discover why she was so brutally murdered. Her father is enigmatic, her mother suicidal; her friends rock musicians and drug addicts. The book shows World War II through the eyes of the Germans and the Portuguese, but also offers a portrait of Lisbon in the aftermath of the 1974 revolution that ousted Salazar from power. The pace of the book is leisurely but compelling as the events of 1941 and those in 1999 merge in an extraordinary climax. 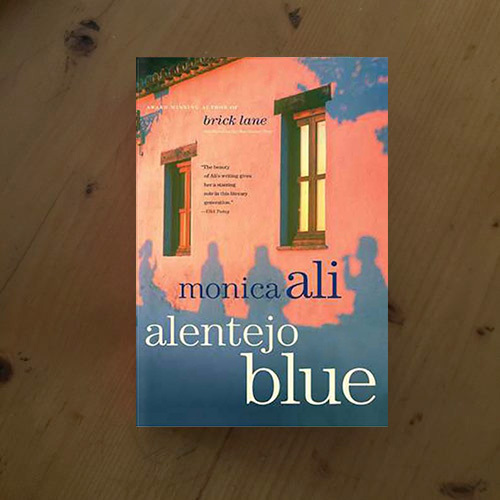 “Alentejo Blue” by Monica Ali: The story of a small village community in the Alentejo, told through the lives of men and women whose families have lived there for generations and some who are just passing through. For Teresa, a beautiful girl not yet twenty, Mamarrosa is a place from which to escape. For the dysfunctional Potts family, it is a way of running from trouble. Vasco, a cafe owner who has never recovered from the death of his American wife, clings to a notion that his years of living in the States, make him superior. Whilst one English tourist fantasizes about making a new life in Mamarrosa; for her compatriots, a young engaged couple, the village is where their dreams fall apart. With the homecoming of Marco Afonso Rodrigues the prodigal son of the village, villagers, tourists, and expatriates are brought together, and their jealousies and disappointments inevitably collide. 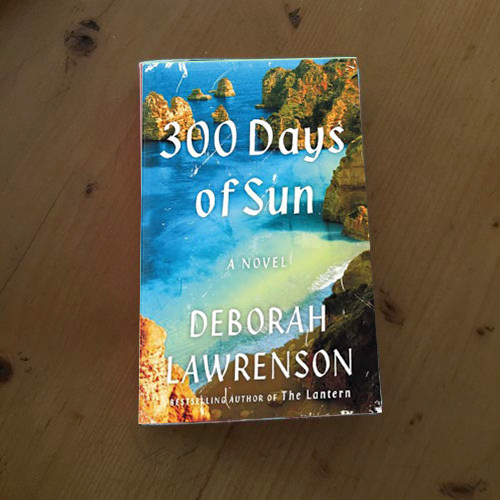 “300 Days of Sun” by Deborah Lawrenson: Merging past and present, this book is set against the lush but corrupt coastal resorts of southern Portugal, where two women, decades apart, are drawn into a dark game of truth and lies. Travelling to Faro in the Algarve, journalist Joanna Millard hopes to escape an unsatisfying relationship and a stalled career. Faro is an enchanting town, and the seaside views are enhanced by the company of Nathan Emberlin, a charismatic younger man. But behind the crumbling facades of Moorish buildings, Joanna soon realizes, Faro has a seedy underbelly, its economy compromised by corruption and WWII wartime spoils. And Nathan has an ulterior motive for seeking her company: he is determined to discover the truth involving a child’s kidnapping that may have taken place on this dramatic coastline over two decades ago. Once a leading correspondent of the Daily Express and head of the Express bureaux in three world capitals (Paris, Moscow and Rome) as well as reporting on the Algeria, Congo and Vietnam wars, Martin Page moved to Portugal with his wife and two small sons when his declining eyesight was diagnosed as untreatable. Faced with the prospect of the end of his travelling life, he started a new career as an author. 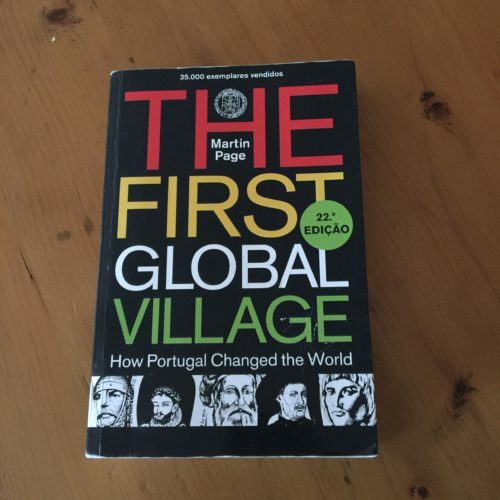 The First Global Village covers Portugal’s influence over the centuries and over the rest of the world and is a great read for anyone that enjoys history. 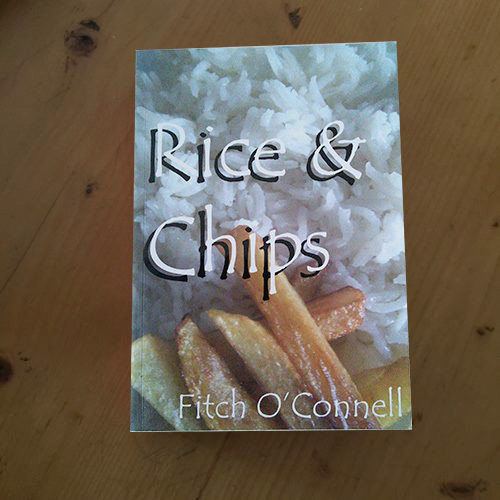 “Rice & Chips” by Fitch 0’Connell: Rice and chips are typically served together at more conventional eateries in Portugal whilst greens, are usually just mushed up into a soup! Fitch O’Connell’s observations of Portuguese life are very amusing – with a recipe introduced after each anecdotal insight into the place and dish in question. This book will warm your heart and whet your appetite. 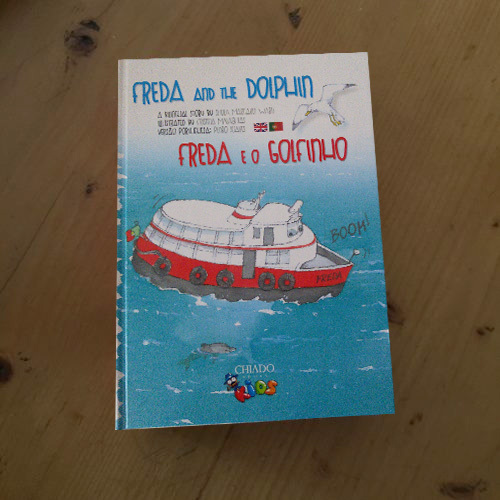 And finally for children… “Freda and Fernando on the River Tagus” & “Freda and the dolphin” by Sheila Margaret Ward: Two charming bilingual books ideal for children visiting Portugal, allowing them to also learn a little about the country and language, with some extra games and colouring pages at the end of the book.